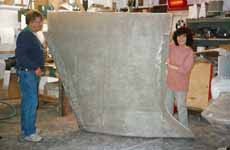 What has been very noticeable about this wood boat building project so far is the speed at which the hull is coming together. 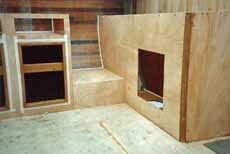 This is largely the result of choice of hull material and building technique; cedar strip and wood-epoxy. 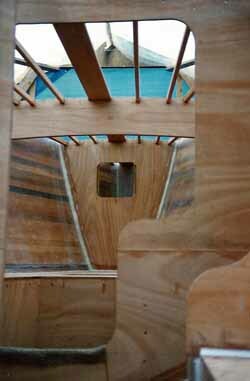 Alacazam's cedar strip hull was constructed upside down over temporary chipboard frames. 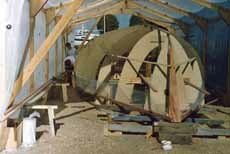 Once this stage of her construction was complete she was righted, the temporary frames removed and the marine ply structural bulkheads bonded in. Then the other plywood components of the internal structure; floors, the cabin sole, bunk berths and saloon seating, lockers, the engine box and finally the galley and navigation area were built-in. 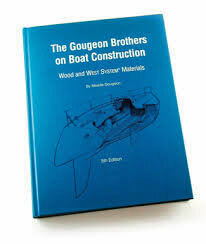 Perhaps the obvious choice of deck material for a wooden boat would be teak; but it wasn't for us. Teak is heavy, needs to be looked after, and doesn't like being exposed to long periods of tropical sunshine. 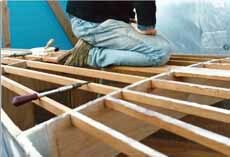 Marine ply on the other hand, sheathed in epoxy glass cloth and coated with non-slip paint was a much more practical solution for our self-build wood boat building project, so that was the one for us. But before we get to lay the deck we have to build the support structure for it; the king plank, the longitudinal stringers and deck beams - all of which were fashioned from mahogany. 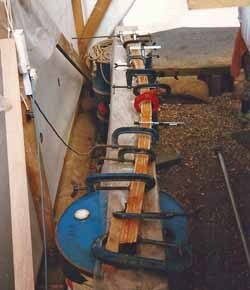 With these in place the half-inch (12mm) thick marine ply deck (scarfed as necessary) was screwed and epoxied to them and into the top of the 1" (25mm) hull planking. Incidentally, the bare edges of the plywood that you can see in this picture won't stay like that for much longer; they'll be fitted with cherry trim and varnished. 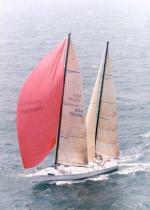 The whole deck area (foredeck, sidedecks and cockpit coamings) was then sheathed in epoxy glass woven rovings before filling, fairing and painting. 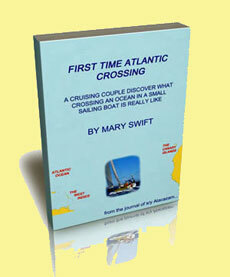 The glass cloth was carried over the hull-to-deck joint and onto the hull side. That's one hull-to-deck joint that's never going to leak. First we made a built a framework to act as a former, covered it with polythene and laid the cedar strips diagonally outward and aft from the centreline as shown here. The strips were glued on to the other, the polythene preventing any adhesion to the frame, and lightly tacked to it with panel pins. 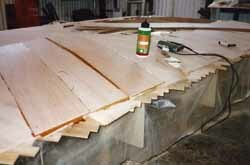 Once the glue had set we removed the pins, lightly sanded the cedar, vacuumed the dust off it, then tack ragged the it. Next we cut strips of 8mm marine ply and glued and stapled (stainless steel staples, of course) these to the cedar, before sheathing it with epoxy glass cloth. 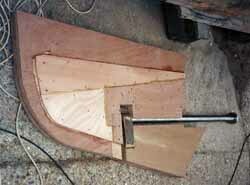 The edges were then trimmed to shape and the coachroof was done. The next stage was to laminate-up a mahogany deck beam to support it, and to provide lateral support for the cap shroud chainplate knees. 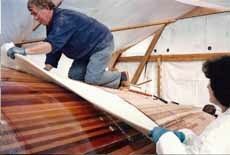 With the beam in place, the coachroof was attached to it and the deck and other supporting structure by the usual process of screwing it down onto a bed of high-strength epoxy gloop, then bonding the joints with woven glass tape and epoxy. 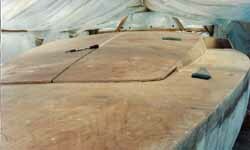 With the coachroof in place, and all joints filled and faired with high-strength epoxy filler, both the deck and the coachroof were now complete. The chevroned cedar deckhead in the saloon looked great and like the rest of this one-off design, unique. 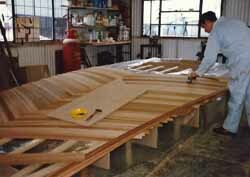 The fitting of the deck and coachroof marked a significant point in this wood boat building project. From here on in the focus would be on the GRP elements of Alacazam's composite structure - the cabin top, cockpit and keel - all of which we would be creating ourselves.